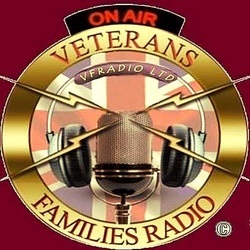 Here at ' Veterans Families Radio ' we Fully Support The ' Army of Angels ' and all the Work they do for Our Injured Troops and their Families. Army of Angels strive to support any former member of the British Armed Forces with Information and advice, Care and Support that is personally tailored for the individual We recognise how brave our troops have been and the suffering many endure once their service comes to an end. At Army of Angels we treat everyone as an individual, if you need our help, we endeavour to support you through Information and Advice, Care or assistance. We want to show our troops that we are thankful for the support they gave to our country and we recognise that a little help from us can make a huge difference to their quality of life.